It’s been almost four years since Bart Ehrman’s How Jesus Became God was published, and one of the points of controversy that arose when the book was first released is the fact that Ehrman does not endorse the historicity of Joseph of Arimathea’s burial of Jesus, nor the discovery of Jesus’ empty tomb as a “historical fact” surrounding the earliest beliefs in the resurrection. Ehrman is hardly the only biblical scholar to hold this view, since as I have discussed before, there are several scholars who doubt these claims, showing that there is nothing like an academic consensus agreeing that they are “minimal facts” about the origins of Christianity. Based on Ehrman’s arguments for doubting the historicity of Joseph of Arimathea’s burial, however, and from what I have read of Magness’ own scholarship, I will argue that Ehrman’s thesis can be only slightly modified to still argue that Jesus was given an anonymous ground burial. To be sure, I agree with Monette that Ehrman’s discussion could be expanded to include Magness’ scholarship. But it is not to defend the empty tomb tradition in the Gospels. Now, it should be specified here that Magness’ view does contradict some of the other arguments that Ehrman makes in his book about the plausibility of the Romans granting such a burial request. On that point, I will not seek to modify or defend Ehrman’s thesis . What I do wish to explore are the implications of Magness’ scholarship for what would have happened to Jesus’ body, had Joseph not intervened to offer Jesus a burial place in his rock-hewn family tomb. Now, I have inserted the Greek vocabulary for two key words in this passage. The first is ἀγρός (“field”). The fact that “potter’s field” is described as, well, a “field” emphasizes that it was used for ground burials, not rock-hewn tombs. The other Greek word I have emphasized is ξένος (“stranger/visitor”). Although this word is given in translations as “foreigner,” it does not specifically mean “Gentile” (which is ἐθνικός). Rather, it could just mean someone who is not a living resident of an area, in this case Jerusalem. Raymond Brown (The Death of the Messiah, pg. 646) argues that potter’s field was used for the burial of Jews who were not native to Jerusalem. Under this interpretation, Jesus would have been a ξένος in Jerusalem when he was executed, since he was a native and living resident of Galilee. And so, without having a family burial place nearby, he may have been buried in a place like potter’s field. The fact that it is also called “the Field of Blood” could suggest that potter’s field was frequently used as a burial place for non-resident criminals (who had no other place to go when impoverished), thus giving the location a stigma for being something like a de facto criminals’ graveyard (here, reappropriated to Judas’ “blood money”), even if non-residents who weren’t criminals were also buried there. And so, this pre-Lucan passage can equally mean that the Sanhedrin merely laid Jesus in an unmarked grave beneath the ground. One way to support that interpretation is to do a cross-reading of Matthew 27:6-8. In that passage (quoted above) it was shown that the Sanhedrin paid for the ground burial of ξένοι (“non-residents” or “foreigners”) in the region. If the passage refers to non-resident Jews, then when an individual like Jesus (who was a native of Galilee) was executed, and could not afford placement in a family tomb, the Sanhedrin would have taken care of the burial, by placing his body in a trench grave, in a place like potter’s field. But even if potter’s field was used solely for Gentiles, similar trench graves would have likewise been employed for non-resident Jews whose corpses could not legally be transferred to their native place of residence. The Sanhedrin would probably also take care of this duty. As the pre-Lucan source in Acts attests, the Sanhedrin was responsible for burying Jesus’ body. And as Magness argues, the Sanhedrin did not pay for the upkeep of rock-hewn tombs for executed criminals. As such, they would have most likely buried Jesus in a trench grave beneath the ground. One thing I do disagree with on Ehrman here, however, is that there is no reason to think that the account of the Sanhedrin burying Jesus in Acts was necessary for the empty tomb. As I have already discussed, the passage in Acts does not even have to be taken as supporting a rock-hewn tomb. The passage can be equally read as implying a ground burial in a grave. Moreover, the passage in Acts doesn’t even make mention of the empty tomb being discovered, and so there is little reason to think that the pre-Lucan source reflects the empty tomb tradition, which is otherwise not seen until Mark. I am also inclined to think that the story reported in this pre-Lucan source may very well have not been invented. Following Magness’ research, the Sanhedrin may have quite likely buried Jesus in a trench grave, and this is what was claimed in the earliest traditions. What I do agree with on Ehrman (pg. 154), however, is that when comparing the pre-Lucan source to the Gospel accounts of Joseph of Arimathea’s burial, “It would make sense that this was the older tradition of the two.” I also agree with Ehrman (pg. 155) that this tradition may lie “behind 1 Corinthians 15:4 as well.” For the next stage of this analysis, therefore, I will turn to what Ehrman has to say about why Paul probably did not think that Joseph buried Jesus, when he discusses the resurrection in his letters. Ehrman goes on to note that this claim became more central when early Christians were combatting views that Jesus was only spiritually raised, and left his body behind, and thus wanted to emphasize that Jesus physically rose from the dead in the same body. The empty tomb could have likewise simply served as greater proof for those in doubt that the resurrection was a real event. But either way, the earliest evidence in 1 Cor. 15 makes no mention of an empty burial place, and neither does the pre-Lucan tradition in Acts. Instead, both Paul and the pre-Lucan source stress the appearance of Jesus to his followers after his death. And it was because certain Christians believed that Jesus had appeared to them, I think, that they first started to believe in the resurrection, not an empty tomb. My own personal view is that, following Jesus’ death by crucifixion, the Sanhedrin most likely buried his body in a trench grave beneath the ground (which could have very likely been unmarked), in either a place like potter’s field or another location used for non-resident Jews who were executed. There was no rock-hewn tomb, or empty burial place discovered by women. The disciples fled Jerusalem and some time later had personal experiences (which were most likely subjective visions), which caused them to believe that Jesus had been elevated to heaven by God after his death. They believed that Jesus had appeared to them from heaven. Later, the stories of Jesus’ burial became embellished over time, and so Joseph of Arimathea’s role was invented to give Jesus a more honorable burial in a rock-hewn tomb. This tomb served as the scene for an empty burial place, which suited later apologetic purposes, to stress that Jesus was physically raised from the dead, and not just in the spirit. This later burial tradition by Joseph, which first appears in Mark, was developed by each of the subsequent Gospel authors in their own ways, as were the resurrection accounts that depict Jesus appearing to his disciples in an earthly setting (which is not specified in Paul, the earliest source). The rest, as they say, is history. But what is noteworthy is that Bart Ehrman’s views on Jesus’ burial can be amended quite easily to be compatible with those of Jodi Magness. The biggest area where they diverge is that Ehrman argues that Joseph of Arimathea’s burial is out of line with the burial practices for crucified criminals in 1st century Roman Palestine. Magness disagrees, and thinks that the type of burial described in the Gospels is consistent with the background evidence. But, Magness takes no stance on the historicity of Joseph’s burial. The Gospel authors (or their sources) could have easily invented a burial tradition which aligned with the practices of their time. But, Ehrman’s view that Jesus was buried in the ground still lines up with what Magness says would have happened to Jesus, without someone like Joseph. The only major difference is, rather than being buried in a mass pit, Jesus would have been buried in an individual trench grave. I do think that Ehrman’s thesis would have benefited from making this nuance, and this is how I think he should have incorporated Magness’ research into How Jesus Became God. In his follow-up response to Craig Evans, starting with the blog “Did the Romans Allow Decent Burials?,” Bart Ehrman does go through several primary sources relating to Roman crucifixion, to argue that there is not much evidence that the Roman authorities in Palestine granted burial for criminals executed by crucifixion. In “Ossuaries and the Burials of Jesus and James” (pg. 141, n. 94), Jodi Magness cites McCane (Roll Back the Stone, pp. 90, 105) and Brown (Death of the Messiah, 2:1207), as evidence for the the claim: “Although victims of crucifixion could be left on their crosses for days, this was not usually the case.” Magness also cites Joseph of Arimathea’s burial in the Gospels as evidence for this claim. For the purposes of determining whether the Romans allowed burials for crucified criminals, in terms of background data for assessing the reliability of the Gospel burial traditions, appealing to the traditions themselves is circular. I have not studied the primary sources that McCane and Brown analyze, and so I’m not sure how much they overlap with those that Ehrman critiques in his blog series. As such, Ehrman may have already addressed many of their points, and he certainly does make an effort to defend his position that the Romans did not allow burials for crucified criminals, by engaging primary evidence. For the purposes of this blog essay, I will assume Magness’ position that the Romans did grant such burials to the crucified, for the sake of argument, to show that the Magness’ position can still be applied to a modified version of Ehrman’s argument, to defend his thesis against the empty tomb and in favor of an obscure ground burial of Jesus. As evidence that the pre-Marcan burial traditions probably lacked the belief in a rock-hewn tomb, it should be noted that the post-Marcan traditions add embellishments to the story. In Mark (15:46), the tomb is simply said to be “cut out of rock.” Luke (23:53) adds the detail that the tomb had never been used before, however, making the burial more honorable. Matthew (27:59-6) adds both the detail that the tomb was both unused and that it was even Joseph’s own tomb. John (19:39-41) even further adds the detail that Jesus was anointed with 75 pounds of myrrh and aloes before his burial, even when this largely contradicts Mark 16:1, which implies that Jesus was not anointed before his burial. John also adds the detail that Jesus was buried in a garden. If the burial traditions after Mark add details to the burial location, in the direction of making it more honorable, it makes sense that the burial traditions before Mark would have been added to by the Marcan tradition, and would have been less honorable than the rock-hewn tomb in Mark. This fits with the Marcan tradition adding λελατομημένον ἐκ πέτρας (“cut out of rock”) to μνημεῖον (“burial place”), in order to add the detail of a rock-hewn tomb. Without the additional description, μνημεῖον by itself can equally mean a ground burial plot, and the fact that the Marcan tradition takes pains to add the extra description, probably implies that it meant just that, before Mark had to overtly state otherwise. This entry was posted in Exegesis, Historical Jesus, History, Resurrection and tagged 1 Corinthians 15:3-7, Allegorical Characters, Bart Ehrman, Burial of Jesus, Empty Tomb, Greg Monette, How Jesus Became God, Jesus' Burial, Jesus' Resurrection, Jodi Magness, Joseph of Arimathea, Minimal Facts Apologetic, Natural explanations for Jesus' resurrection, Resurrection Apologetics, Resurrection Creed, Skepticism towards the Resurrection of Jesus. Bookmark the permalink. I agree with your obscure ground burial, but a couple thoughts. You and Ehrman seem to make a big issue out of the asymmetry of the creed, but couldn’t the creed formulators have just said “he was buried by Jewish authorities” or “he was buried by the Romans”, or put anything else they wanted in there to indicate who buried Jesus? The asymmetry seems a non-issue to me. It seems to me it is just the way the creed formulators decided to write it. 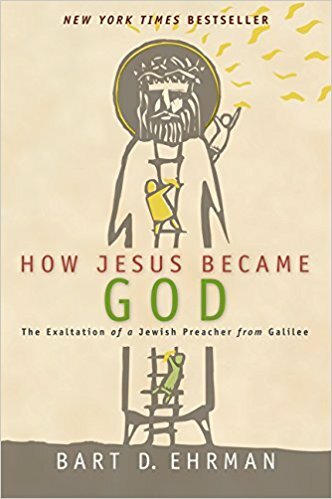 You wrote, “rather than a mass pit [per Ehrman], on Magness’ view Jesus would have been buried in an individual trench grave….both views would have Jesus buried beneath the surface…” I don’t think this last part is true. As you quote Ehrman, at most the Roman’s would have “thrown it [Jesus’ corpse] into an OPEN pit”. That is not buried beneath the surface, and there is no way a Jew would ever consider that body “buried” (1 Cor 15:4). That is why Ehrman has to propose that a discovered empty burial place legend (with a burial legend included of course) was already in circulation and being used in the early creed (your bolded quote from HGBG pg. 155). But this goes against the evidence that a discovered empty burial place legend did not come about until after the creed and after Paul. Frankly, I think Ehrman has backed himself into this posture because he has (incorrectly) concluded that the Roman’s would never have allowed the Jewish authorities to bury Jesus. So it does seem that Ehrman is saying that the pit was covered over after the bodies were dumped in, and hence buried. It would not have met the standards of a Jewish burial, per 1 Cor 15:4, no. But I was just using the term in a general sense to mean digging a hole, putting a body in it, and covering it over. I didn’t think about the possibility of Ehrman’s view already implying something like an empty burial place in Paul’s creed (or at least a more honorable disposal of Jesus’ body than a mass pit burial). It could be that if the final location of Jesus’ body was unknown to his followers, only the burial itself was invented, to cover up the disgrace of there being no proper disposal of the body. But you may be right. On the other hand, if the view I have proposed of a ground burial in a trench grave is correct, that would be a minimal burial, but it would meet the standards of a Jewish burial, and hence the meaning of 1 Cor. 15:4. So, no empty burial location would need be implied in the creed on that view. The asymmetry of the creed is only a big deal if 1) Joseph of Arimathea did the burial and 2) he was an early Christian figure (as he is later depicted in the Gospels). That would assume he was someone later known in the Christian community, of the sort to be identified in a Christian creed. And so, it would make sense to have the creed by symmetrical, by having Joseph’s name in parallel with Peter. If the Sanhedrin (without Joseph) or Romans did the burial though, then no, I don’t think they would have been included in a Christian creed, but that would also mean that Mark’s burial tradition was inaccurate. I think what he means by “open pit” is that they didn’t fill in the pit right away, but left it open for new corpses to be thrown in. But presumably they buried it over once it was full enough, and then dug a new pit when needed. So eventually Jesus would have been buried beneath the surface, if not right away. All of the references I am aware of refer to crucifixion victims being devoured by birds and wild animals, which would seem to imply never buried under the dirt. I just mentioned this in passing. I don’t think it matters to Ehrman’s theory because Ehrman seems to propose that a discovered empty burial place legend (with a burial legend included) lies behind 1 Cor 15:4 (how else to interpret your bolded quote from HGBG pg. 155, which ends with “Possibly this is the tradition that lies behind 1 Corinthians 15:4”?). So Ehrman appears to think the creed (and I guess Paul too) both thought there was a discovered empty burial place but, for whatever reason, never mentioned it. Good point about the asymmetry in the creed applying only to Joseph. Jeff, I think you’re reading more into Ehrman’s statements than is necessary. If Ehrman thinks a burial legend like that found in the Acts 13 reference may lie behind 1Cor 15.4, that doesn’t mean Paul thought the burial place was *discovered* empty, or that there was a story of its discovery. So, the way I described his view in this blog essay is correct. Thanks for confirming Ehrman’s view. I certainly have no problem with Ehrman’s speculation, but as far as I know, there is zero evidence that the Romans *ever* removed crucifixion victims from the cross unless they were giving the body back to someone else, and even if one assumes the Romans did eventually remove crucifixion victims from the cross and cast the body into a pit themselves, there is zero evidence (again, as far as I know) informing us if the Romans covered the body with dirt or left it exposed (they had no concept of germs back then). As Martin Hengel in his book Crucifixion says, “Crucifixion was aggravated further by the fact that quite often its victims were *never* buried. It was a stereotyped picture that the crucified victim served as food for wild beasts and birds of prey” (pg. 87). The only reason I can tell that Hengel says “quite often” is because he knows crucified bodies were sometimes given back others (he does not cover this in his book). I could not find one instance in his short book of a crucified body being removed from the cross by the Romans for further disposal of the body. Why would the Romans bother? Eventually all of the body parts would succumb to gravity and be taken away by scavengers. Maybe at the most the Romans would have to remove the last bones nailed to the cross, but I would think they would just chuck those on the ground where they stood. But like I said, I don’t think any of the above matters to Ehrman’s theory of how “buried” got into the early creed (1 Cor 15:4) because he is not trying to account for this word with a *Roman* burial. He seems to be proposing that a discovered empty burial place *legend* (with a burial legend included of course) was *already* in circulation and being used in the early creed, and that accounts for the word “buried” in the creed: “If the followers of Jesus knew that he ‘had’ to be buried in a tomb–*since otherwise there could be no story about the tomb being empty*… Possibly this is the tradition that lies behind 1 Corinthians 15:4” (HGBG, pg. 155). The problem with this approach is that Paul knows nothing about a discovered empty tomb, which means the creed probably does not either, which means a standalone burial tradition exited *first*. Your obscure ground burial seems a plausible option to me, but Ehrman will have nothing of it because, according to him, the Romans would never have given Jesus’ body back to the Jewish authorities (a misreading of the evidence for this plausibly happening in my opinion). I think one way to read 1 Cor. 15:4, on Ehrman’s view, is that the early Christians would have been ashamed that Jesus got no proper burial. And so, they added to the creed that he was buried (ambiguously) to cover up the shame Jesus would have received either being left on the cross or being thrown in a mass pit. That doesn’t necessarily imply an empty tomb in the creed. If Jesus’ followers felt shame because Jesus was left on the cross, why not say Jesus was raised right off the cross (at night if they wanted to explain to themselves why nobody saw it)? If Jesus’ followers felt shame because they knew Jesus was thrown into a mass pit and felt this would not qualify as buried, then I think your proposal has more plausibility, but this would seem to require the early Christians to think that Jesus was not raised for *weeks* after his crucifixion (unless you want to propose that the Romans took down his body fairly quickly or that the early Christian imagined they did for some reason, but then what would be the imaged reason?). It also seems unlikely to me that an “ambiguous” reference to burial would survive in an important teaching/preaching creed (if that is what it is); people would have asked what kind of burial Jesus got and I would think they had to have something in mind. Well, the circumstances might matter. If Jesus’ followers all fled, and no one knew what happened to the body, regardless of whether it was buried in a pit or not (but they were aware of how the Romans mistreated crucified corpses), then they may have invented the tradition in 1 Cor. 15:4 to cover up the embarrassment. What they told people when they asked what specifically happened may have been the tradition in Acts 13:28-31. I’m just suggesting this as a hypothetical. Likewise, while Magness has suggested that Jewish ground burials may have included inscriptions or paintings for the headstones erected on top (even if no evidence for any survives), I don’t think the Sanhedrin would have gone through the trouble to do this for burials they were taking care of at public expense, much less for crucified criminals. At most, they would have just put a stone at the top of the burial plot to mark that a body was beneath the surface. Quite quickly Jesus’ burial plot could have been forgotten, if it was even known which one they used in the first place. And as already noted, the hypothesis I have proposed would align with the description in 1 Cor. 15:4. I think the “raised on the third day” bit is invented from a number of resurrection and OT motifs. Could be Jonah and the whale, or just the fact that it was used in Mediterranean resurrection stories more commonly. Euripides attests to the “third day” motif in his Alcestis. So it’s not weird to see that motif picked up in Christian mythology. But it does fit better if Jesus’ body was buried quickly, and not left up for a while, as Ehrman’s theory would suggest (even if Jesus’ body was eventually thrown into a mass pit and buried). The Acts 13:28-31 tradition has the *Jewish authorities* burying Jesus, which would entail the Romans giving the body to them. In order for the earliest Christians to invent that story, and for anyone to believe them, would seem to require that such a thing was thought plausible by Jews at the time. But if the handing over of a crucified body by the Romans to the Jewish authorities was thought plausible by Jews at that time, that seems to me pretty strong evidence that it *actually was* plausible. But if the handing over of a crucified body by the Romans to the Jewish authorities actually was plausible, then that would seem to shoot a hole in Ehrman’s own argument that it was not plausible. So no, I don’t see how this plugs the hole in Ehrman’s hypothesis, but I’m open to any other suggestions you have. We might have different ideas of what plausible is. I whole heartedly agree with you that there would have been a theological motivation to get Jesus down from the cross the same day. You propose the early Christians invented such a tradition based on Jesus being “granted some sort of special favor”. In my mind, that “some sort of special favor” needed to be plausible *in the minds of Jesus’ followers*. What do you think it was, or do you think Jesus’ followers were fine just leaving that unanswered to themselves and those that asked? Ehrman says there were no special favors. Well, yes, Ehrman is shooting a hole in his theory if he argues that special favors were never granted. But I don’t think that would be so, even if the Romans didn’t normally grant Jewish burials for crucified criminals. I doubt that they would have had a rigid policy. Presumably someone of authority, like Pilate, could have over-ridden standard procedure. That’s what I mean by “plausible.” It could have been plausible enough in the minds of those hearing the creed, under this hypothetical scenario, that Jesus was given some kind of special treatment. Josephus was able to persuade Titus to take down men who had been crucified, after all. It’s a bit different, since they were taken down while still alive; but I think a Roman administrator with the authority to order a crucifixion could also decide whether a proper burial would be granted to the crucified or not, even if it departed from standard practice. Yep, I agree, there is a plausible scenario where Jesus would have been removed from the cross on Friday and buried by the Jewish authorities. I just don’t know why anyone would argue Jesus’ followers imagined it instead of arguing that it actually happened (as you propose in your obscure ground burial). Well, I think they would have imagined it under the hypothetical scenario that it was not normal policy to grant such burials, and the Romans instead normally left the bodies up or dumped them in a mass pit. To avoid the curse in Deuteronomy and to spare Jesus the embarrassment of never receiving a proper burial, they would have imagined that he must have been granted some sort of special favor. If it was normal practice for the Romans to hand crucified criminals over to the Sanhedrin for burial, then I think they would just argue that Jesus received the standard burial that was custom. For whatever it’s worth, Richard Carrier says, “There is no evidence (none whatever) that mass burial was ever practiced in Judea by the Romans” (https://www.richardcarrier.info/archives/13425#comments). Could the reason for the story of Jesus dying quicker than normal from crucifixion be to blend in with the narrative of “Rising on the third day”. It could be that Mark wanted Jesus’ death and resurrection to overlap around the Sabbath, possibly. Perhaps to symbolize God’s rest on the Sabbath. I haven’t seen a scholar suggest this before (perhaps it has been suggested), but it’s a thought I have. If so, then that may be one reason why the author had Jesus die quickly on Friday, remain in the tomb on Saturday, and then rise on Sunday. Did thapto *always* mean a “burial with rites / honors”? The LXX, Jer 22:7, “With the burial of a donkey he will be buried and dragged along and cast forth beyond the gates of Jerusalem”. This would be “(with the) “tafi” of a donkey he will be “thapto’ed” and dragged out… beyond the gates of Jerusalem”. Clearly, this is not a “burial with rites”; it is the “burial of a donkey”. But equally clearly is that this is a very mocking, derisive declaration. It is akin to me saying “oh, yes, I graduated with honors. I had the honor of being last in my class”. Or, perhaps better, like some Mafia guy saying “oh, yeh, we gave the guy a decent burial – right in the bottom of the Hudson river” (clearly mocking the notion of a “decent burial”). What I’m getting at is that this use of thapto, in this very derisive fashion, *confirms* that the normal usage of it was *not* in regards to the “tafi” *of a donkey*, but was, in fact, used to signify a burial with honors or rites. And, that’s the very thing that makes this particular usage of thapto – and thus, the whole sentence – to be derisive. The second clue is the use of the word “tafi”, for “burial”. This word is used only *once* in the NT, in Matt 27:7: “And they conferred together and with the money bought the Potter’s Field as a burial place for foreigners.” This word “foreigners” would, of course, refer to the “goyim” — gentiles. In every other instance in the NT, the word commonly translated as “burial” is ” entaphiazein” (or, whatever form was appropriate in the context). Gentiles – foreigners – one’s that did not have a “proper *Jewish* burial” – were “tafi’ed”, according to their own customs. Deceased Jews were “sepulchered” – which would indicate that they were handled in a process that would eventually lead to having their bones placed in a sepulcher, which would occur about a year after they were entombed or buried in the ground. Thus, when Paul says that Jesus was “thapto’ed”, he was, by default, referring to a “proper Jewish burial”. If he had said “Jesus was ‘thapto’ed’ with the burial of a gentile” (or with that of a donkey), then we could most certainly presume his burial was not up to Jewish standards. But if we are to treat the “normal” usage of words as if they have actual, set *meaning*, then Paul was talking about a decent burial. Now, does this mean Paul knew what he was talking about? Could Paul simply have been *told* that Jesus’ had an “ensepulchering” and that he was afforded bona-fide “thapto”? Yeh, sure, that’s possible. Maybe that was the “big lie” being passed around by Peter, et al. But, that’s another issue altogether. Well, a proper Jewish burial could still entail a trench grave in the ground, so saying that Jesus was “thapto’ed” does not necessarily entail burial in a rock-hewn tomb. What I don’t understand is your interpretation that the ξένοί described in Matt 27:7 should be equated with the Hebrew goyim (“Gentiles”). The Greek word for “Gentile” is not ξένος, but ἐθνικός. I see a post of mine, on Ehrmans blog, is being quoted. That’s nice. Regarding ξένοί – I do not maintain that this somehow translates to “Gentiles”. When Matthew refers to a burial field for “strangers”, this then could most certainly include “Goyim”. Raymond Brown (The Death of the Messiah, Yale University Press, Dec 1, 1998, pg. 646) notably agrees with my interpretation that Potter’s Field is described as a burial place for Jews who are not native to Jerusalem, rather than Gentiles. I myself would (and do) disagree greatly with Brown on this. “Stranger” was often used synonymously with “gentile”, as we see in my previous reference to Ruth, and thus, a burial field for “strangers” could very well have been for gentiles. If you are right about the inclusion of the word ταφή being derogatory, I think in the case of Matt 27:7 it’s because Potter’s Field was regarded as an ignoble place of burial, similar in sense to the burial of a donkey that you described above. This is the “field of blood” after all. But I don’t think it’s because it was a burial place for Gentiles. It’s because it was a place for lower class burials, used for Jews non-native to Jerusalem and paid for by the Sanhedrin, where criminals without family in Jerusalem often ended up. The Sanhedrin paid for the minimal provisions of a Jewish burial. The passage wouldn’t describe the place in elevated terms. I seem to remember that Richard Carrier mentioned on one of his blogs, that Jesus could,indeed have been buried in a tomb. Apparently, it was not uncommon, in those times, for there to be some sort of communal tomb where the dead bodies of convicted criminals could be stored, and then later the bones disposed of. I’m not sure where he found that information, but it does really advance any “Empty Tomb” narrative, since it would not be a private tomb as depicted in the gospels. Have you heard of this theory? So Jesus’ remains couldn’t have been taken back to Nazareth. While some of the accounts (e.g., Luke) depict Jesus having family in Jerusalem, they are later than the earliest and somewhat dubious, especially since those family members aren’t mentioned providing provisions for Jesus’ burial. As such, I tend to think that, without someone like Joseph of Arimathea providing a place of burial, the Sanhedrin would have instead paid for a place of permanent burial. And they wouldn’t have paid for an expensive location like a rock-hewn tomb, but rather the minimal provisions of a Jewish burial, i.e., a trench burial in the ground. Ehrman is correct, in my view. The empty tomb IS INDEED central to the claim that Jesus was resurrected. I’d agree that this is absolutely correct. It is so correct, in fact, that there is no reason at all to think that a story of a resurrection could *ever* have begun to circulate *unless* there was, in fact, an empty tomb. If Jesus died and was buried in an unmarked trench grave – and hence, whether the body was *missing* from that unmarked grave could simply not be determined – then, there is effectively *no story at all*. If Jesus were buried as such, and then this was followed by some man making a claim that Jesus had been resurrected – the first and most obvious question would be “why do you think he was resurrected, if you don’t even know where the body was buried and whether it’s no longer there”? I say it’s “obvious” for the same reason that Ehrman admits that the empty tomb is “the most important” factor, central to the claim that Jesus was resurrected. There is, in my view, no way on earth that a story of Jesus’ resurrection could have survived for the 20-30 years between the time of Jesus’ death and Paul’s letters *unless* there had, in fact, been an empty tomb. Ehrman states his opinion as a rationale for saying “this is why the story of the tomb was invented”. But, if that is the case, it is a story that would have had to been invented very, very early on – so early, in fact, that this part of the story could have long been refuted by those who *knew* (presumably) that Jesus had been put in a trench grave. One must not ignore this: Jesus was crucified at *the Passover*. This is a time in which Jerusalem would have been literally *surrounded* by 300,000 – 500,000 Passover pilgrims who would have camped outside the city walls. (note: that’s exactly what Jesus and his disciples were doing – camping out at Gethsemane). Jerusalem’s longest wall was just a bit over a quarter of a mile in length at that time, and the whole of the city could *easily* have fit into a “square” that was a quarter of a mile on every side. Do the math: You’ll realize that the crowd camping around the perimeter of Jerusalem is about like the crowd that packs into a football stadium. Out of that crowd – with Jesus having been crucified in a spot where the crucifixion could be observed by as many people as possible – it is utterly implausible that nobody – none of the people in that massive crowd – would have seen whether Jesus’ body had been taken off the cross, or, whether it had been buried in a trench grave. Especially given the notion that it was a very-expected Jewish custom to follow after a “funeral procession” (meaning, the carrying of a body to a grave). So, yes, Ehrman’s statement is one I would agree with entirely – but – it leads me to an entirely different place than it leads Ehrman. The empty tomb was indeed so important to the resurrection story that the resurrection story could never have gotten off the ground without it being true, from the get-go. First off, when Ehrman says that the empty tomb is “central” to the story of the resurrection, he doesn’t mean that it is “necessary.” In his book, he clarifies that the empty tomb would have functioned very well as propaganda piece for the resurrection (hence why the story was invented fairly early on). But he doesn’t think that it was what *started* the belief in the resurrection. Rather, Ehrman argues that Jesus’ followers came to believe that he had been raised from the dead, because they had post-mortem visionary experiences, not long after the crucifixion. The two earliest Gospels—Mark and Matthew—place these experiences in Galilee, at a distance from Jesus’ burial place in Jerusalem. These sources do not even state that the 12 visited the alleged empty tomb. First off, I don’t see why this would be the most obvious question to an ancient audience. Maybe it would be to us, but why to an ancient listener? Regardless, the answer to this question could just as easily be, “Because he appeared to me, and I saw him.” Not, “Because I found an empty tomb.” In fact, the earliest source—Paul—appeals to post-mortem sightings of Jesus and makes no mention of an empty tomb being discovered. This just demonstrates a lack of historical imagination. Elvis Presley has a photograph of his dead body, and we know where his grave is. And yet, stories of him still being alive have persisted for the last 40 years. Sure, most people don’t believe them, but yet most Judeans and Gentiles didn’t believe in the story of Jesus’ resurrection in the 1st century CE, just a fringe cult. Given the range of fake news, hoaxes, conspiracy theories, delusions, and hokey religions that persist today, thinking that Christianity would have been fact-checked to death, unless there really was an empty tomb, is simply being closed-minded. As for the number of people being in Jerusalem during the Passover, it’s important to remember that the resurrection was not proclaimed by the Christians until several weeks *after Passover*. Acts 2 places this proclamation seven weeks after Jesus’ death. Most of those huge crowds you mention would have been gone by then. We also have to take into account the fact that we don’t know how many other people were executed during that time along with Jesus. Two other criminals are mentioned in the Gospels, but there would have likely been more, given the turbulence associated with the festival. With the requirement to bury the bodies by sundown, there could have easily been confusion over whose body went where. Likewise, funeral processions wouldn’t have been allowed for individuals buried in disgrace, which would have been common for criminals executed by crucifixion. And if the resurrection belief first started in Galilee, which is where the earliest Gospels place it, then Jesus’ burial place wouldn’t be nearby anyways. This all assumes that the first Christians believed Jesus rose in the same body as he died. But a number of scholars, such as James Tabor, think that they actually thought Jesus’ spirit ascended and was clothed in a different body than the one in which he died. In that case, there would have been no belief in an empty tomb to begin with. So no, these issues lead me in a very, very different direction than you. It’s funny, because Christians want us to believe that it’s plausible that someone could miraculously rise from the dead. But then they exercise a *massive* amount of skepticism in thinking that a story couldn’t be made up about a guy resurrecting, unless there really was an empty tomb. I find that to be special pleading, to the extreme. Ehrman clearly thinks that an empty tomb is necessary for a *physical* resurrection. Entertaining ideas of a “spiritual” resurrection, though, are (in my book) completely non-starters. A “spiritual resurrection” (a) would have been, and still is an entirely acceptable belief in Judaism, and therefore, nothing for Paul (for example) to persecute, and (b) a “spiritual resurrection” would never work with the Messiah concept – there is no such thing as a “dead Messiah”, or a “ghost” sitting on the throne of Israel. And, besides, in normative Pharisaic and Christian belief, “resurrection” *means* a bodily resurrection in which the body is “transformed”, becoming equally substantive with the spirit. So, I guess we could quabble over whatever the heck Ehrman means when he says “central”. but, that doesn’t seem to imply that the bodily resurrection is *not* central to the story in the form it currently stands. I don’t see why *you* think an ancient listener wouldn’t equally have the same questions *you* do. After all, the vast majority of them *did not* believe Jesus was resurrected, did they? I have never once read anything that makes me believe this is correct. I know that certain *mourning* practices were not allowed for criminals, but a procession is not a part of mourning. It is a part of the burial process itself. Perhaps you could provide references? Whether they were gone or not is entirely irrelvant. “Preaching the resurrection” didn’t end at Jerusalem’s walls, and, outside those walls – after the Passover was long over – there could potentially have been hundreds of thousands of people who were there and would potentially have seen that Jesus’ body had been put in a trench grave, or just left hanging on a cross. And, those people are *in addition* to the residents of Jerusalem, any one of which could at least potentially refute any claim of “tomb burial” (if Jesus was left on the cross or put in a trench grave). My point is simple: Out of a crowd of 80,000 at a football game, *somebody’s* potentially going to notice if that the stoopid “bird mascot” on the sidelines flew off after the game, or, if he just walked off the field like everybody else. So, it’s pretty vain to try to start a story that the “bird mascot” *flew* off. There could potentially be 80,000 other people that would say otherwise. And, really, this shouldn’t be hard to figure out. Thanks for signing up. I suppose we are quibbling a bit over the word “central.” Do you have the page numbers for those quotes from Ehrman’s book? It’s strange, because I’m pretty sure that Ehrman does not think that Paul had preached an empty tomb. Instead, this detail would have first appears in Mark. If that is the case, the proclamation of the resurrection would have commenced for a few decades, without the story of the empty tomb. What Ehrman may describing in those quotes is not the historical necessity of needing an empty tomb, to get the resurrection belief off the ground, but rather the reasoning behind Mark’s motive to invent the empty tomb narrative. The author of Mark deemed it necessary to have an empty tomb, in order to preach a physical resurrection, and thus invented the story of Joseph of Arimathea and the women, to make the whole thing more believable. As such, Ehrman may just be describing Mark’s thinking there. I’ll have to check the book, but that may be what the quote is saying in context. I have a book at home that discusses this, but I’m currently staying with relatives. I’ll look into this when I return next week, and get back to you. As a heads up though, your comment did catch me at a bad time. I’m currently sick and preparing for a medical leave of absence from my university. I wanted to answer your comments, to address your concerns about this blog essay, but truth is that I don’t really want to engage in debate right now. I will do it, since that’s part of what I do on this blog. But it was an additional stressor to see your comments yesterday. I do appreciate that you limited the volume in this last comment. I’ll also get back to your other points in this comment, when I find the time, but I’m backlogged on grading right now, and due to being sick, I have to make up a lot of work in order to prepare for teaching next week. Honestly, I like to keep posts short myself. Really, I just wanted to clarify that post of mine (which mr heathcliff quoted), to say I wasn’t *translating* xenios as “Gentile”, but rather, saying it was *referring* to Gentiles (foreigners), and that there was ample precedent for my reasoning. The rest of the stuff? Well, I had a back-and-forth with Ehrman about the fact that there could be as many as a half-million people camped outside the city walls – any one of whom could well have *seen* Jesus left hanging on the cross, or thrown into a ditch, or buried in a trench grave or put in a tomb. So, it would make it difficult to spread a story about a “tomb”, knowing full well that any given person you were telling the story to could say “hey, I was there, and I saw the whole thing, and they left Jesus up there on the cross for the entire week of Passover”. His response? It was literally “Well, I have a hunch nobody noticed”. So, now we do “history by hunches”, I guess. But, I have a hunch a LOT of people saw what happened, because as Ehrman points out in his book, Roman executions were done in the most visible place possible. But, I’m rambling. No need to debate what Ehrman says, though. Thanks for your understanding tone and keeping a a moderate pace in the discussion. I’ll get back to you when I can. As noted, this upcoming week is going to be pretty stressful, since I have to catch up on the teaching work that I missed last week. So I may not get back right away. But I have this discussion in mind, and will return to it when I get the chance. I had to take a leave of absence this week for the remainder of the Spring quarter. I’m going to be taking a break from both teaching and the blog until I get some stuff sorted out. I’ll get back to this discussion when circumstances are suited for it. Okay, I’ve had some time to rest and I’m going to get back to your comment in the coming days. I need to run a statistical argument by a friend of mine, regarding the number of people in Jerusalem who may have seen Jesus’ burial, and what we can say about the likelihood of one/few/many of them later confronting Christians during their preaching about the resurrection. I just wanted to let you know that I haven’t forgotten about your comment. As a note, while I have not announced it yet, I am introducing a new Comment Policy, in which you need to be a supporter of my blog on Patreon in order to post comments. If you choose to become a patron, you can post further comments, if you so desire. mr heatcliff is using a post which I wrote a while back on Ehrmans blog, in a discussion about “thapto”. In that post, I said I believed that the use of the word “xenois” (foreigner, alien) indicated Gentiles, not Jews from some area outside of (in this case) Jerusalem… I did not indicate that I believe the *translation* of “xenois” is “Gentile”. Ruth was, of course, a Moabitess. Obviously, this is a another reference to one who is clearly not a Hebrew. Is this a reference to someone who simply wasn’t from the local area? I doubt it. Isaiah 18:2 says “He sends messengers by the sea, and paper letters on the water: for swift messengers shall go to a lofty nation, and to a strange and harsh people.”, and here again we find xenois being used in reference to those of a *foreign nation*. Lamentations 5:2 “Our inheritance has been turned over to strangers, Our houses to aliens.” And again, this is in reference to Israel having been lost to a foreign power. So, there is precedent for believing that the “foreigners” of Matt 27:7 could indeed be someone other than just non-resident Jews. I suppose there is a question, however, about whether Potter’s field was used for 1) just non-resident Jews, 2) just Gentiles, or 3) both. The source I quoted above seems to support option #3. Raymond Brown supports option #1 (though maybe he would agree with #3, too). If option #2 is the correct interpretation, I don’t think it would change my blog essay much. What that would mean is that Jesus was not buried in Potter’s Field, specifically, since it was reserved for Gentiles. But Magness observes that the Sanhedrin still did not pay for the burial of Jewish criminals in rock-hewn tombs. Considering that Acts 13:28-31 mentions the Sanhedrin burying Jesus, they would have likely placed him in a trench grave, if not in Potter’s Field, then somewhere else within the vicinity of Jerusalem. (I’ve updated my essay above to discuss this possibility). Very happy to hear from you again, and welcome back! I think a statistical analysis on how many people might have seen Jesus’ burial is a fascinating idea. Your statistics person is going to have to take into account a number of things that might be difficult to nail down, statistically. Like, for example, one of the gospels says that there were “many women” at the tomb. This may have been due to the “expected custom” of following a body being carried to a grave. (Josephus states that “All who pass by when a corpse is buried must accompany the funeral and join in the lamentations” (Apion, 2:205); There are Talmudic commentary that seem to indicate one needed only to follow for a minimum of “four paces”, but, (1) it appears that commentary is answering the question “does one who is, at that time, studying Torah have an obligation to interrupt his studies to follow”, and (2) the Torah commentaries appear to have been written well after the 1st century). Your statistics person will have to try to nail that one down. Also to be considered is the location of the tomb. Of course, we don’t know where that was, except that it was “nearby” the place where Jesus was crucified (at least, according to one or more Gospels). But, if it was indeed “nearby”, and the crucifixion was done (as Ehrman argues) in a place where it was going to have as much visibility as possible, then this too will be a factor. The thing is this, though: Whatever the “statistical number” might be, I don’t think it can quite get low enough. If there were no empty tomb, then the disciples of Jesus were utterly dependent on *nobody* seeing what happened at the burial of Jesus. That is, it was going to be quite impossible to preach that Jesus had been raised up from the dead if there were potentially *anyone* that could show where the body was (still) buried. Do you remember the OJ Simpson murder case? Maybe not. But one of the things the defense brought up was the idea that a bloody glove (worn by Simpson, presumably) was planted by a Det. Fuhrman. People saw through that pretty quickly, though: For Fuhrman to have planted that glove on the night of the murder, he would have had to have known, with 100% certainty, that Simpson had no alibi. But, at that time, nobody even knew where Simpson actually was. For all the Detectives knew, he could have been with friends, maybe at a party or some other social engagement, maybe out on a date with somebody. So, for the disciples to start preaching that Jesus had risen from the dead, they would have had to have known, with 100% certainty, that there was nobody that could point and say “he’s buried here”. Not his Mom, not his brothers, none of the other disciples that *didn’t* buy into the resurrection story – nobody. I realize that there might be other ways around this. I think Ehrmans solution (if I remember correctly) is to posit that Jesus was just left on the cross until his bones were picked clean, at which time they were finally thrown into some communal burial pit (for which I’m not sure there is any first-century evidence of at all). But, if we’re going the route that Jesus was at least taken off the cross and buried *someplace* “before the Sabbath”, then, a statistical analysis would be fascinating. Please hold off on adding more commentary until I get the chance to respond to what you have already written. I think you are being overly skeptical toward the notion that the disciples could have preached about the resurrection, in the face of others potentially knowing Jesus’ burial place. Saying that they had to be 100% certain that nobody had this knowledge is just hyperbole, and it defies modern experience. As I already mentioned, people in recent times have claimed to see Elvis still alive, despite the fact that we know his burial place and even have pictures of his corpse. Showing them this evidence hasn’t stopped rumors of Elvis’ post-mortem appearances. So maybe some people did say that they knew the location of Jesus’ burial place, but Christianity still spread despite this. But furthermore, the earliest Christian testimony doesn’t even make mention of an empty tomb to begin with. Paul in 1 Cor. 15 never claimed that Jesus’ burial location was empty. 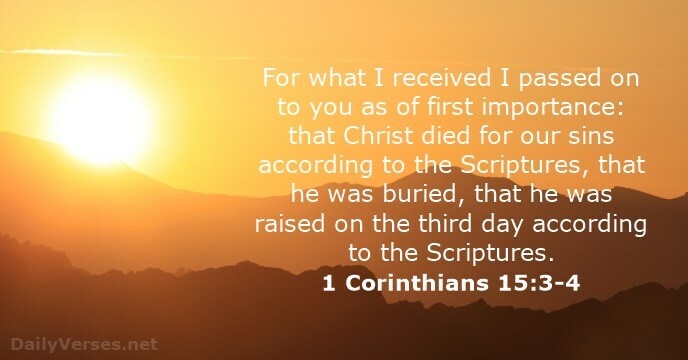 So when Paul was preaching about the resurrection, saying that you knew the location of the tomb or burial plot wouldn’t defy anything that he said. Paul said that Jesus was buried. There’s no contradiction there with anything that he was preaching. It wasn’t until Mark that Jesus’ burial place was claimed to be empty. But that was around 40 years after Jesus’ death, possibly after Jerusalem was destroyed, when the tomb or burial place could no longer be easily located. I think your comments have been colored with a lot of exaggeration. But please be patient and let me get back to you before stacking up more claims that require time from me to respond to. If I sound frustrated in my previous comment, what I said above is that “I’m going to get back to your comment in the coming days.” I wasn’t asking you to resume the discussion right now. I’m still in the process of recovery and have just started to feel able to write again. I mentioned that I was going to consult with some other people about some of the issues that have been raised in this thread, and I would appreciate if you could let me do that first, before raising more issues just yet. Another point worth mentioning is that–even if the disciples had preached, from the beginning, that Jesus’ body vanished from its burial place after he resurrected–had Jesus been buried in a trench grave, rather than a rock-hewn tomb above the ground, this would have left no visible sign to an outside observer. You can check to see if a body is no longer in a tomb above the ground, but you wouldn’t see it missing from a grave with dirt buried over it. So say that a bunch of people did know the location of Jesus’ burial plot in a trench grave. After the disciples were preaching that Jesus was resurrected, other people could perhaps know where the grave was, but the disciples could just claim that the body was no longer beneath the ground. Unless someone dug up the grave, you wouldn’t know the difference. And digging up the grave would have been a criminal offense. Would have anyone risked disturbing Jesus’ burial place, just to prove the disciples wrong? Or, would they just let a fringe group of a handful of (mostly Galilean) peasants cling to their otherwise cultish beliefs? I’ll get back to your comments when I get the chance, but please understand that I do put energy and thought into my responses, and that takes time. Part of the reason why I can’t give a specific date when I will get back to all of this (and why I sound tense) is because my sleep has been really erratic, due to my insomnia. I haven’t slept well over the last couple days, and my energy level isn’t the best right now. I’m also backlogged on some other criticism that I need to respond to. There’s another article that I need to defend that will at least require a whole day’s worth of writing, which I’ve frustratingly had to put off getting to, due to my leave of absence. What I meant by the statistical argument that I mentioned was not a *precise calculation* of how many people saw Jesus’ burial and then later confronted the disciples during their preaching about the resurrection. Rather, what I’m looking at is your statistic of 300,000 – 500,000 people in the vicinity of Jerusalem during the Passover. I’m also going to look at Stark’s numbers for the growth rate of Christianity during the first couple decades of the 1st century (as well as Ehrman’s revised estimates). Using those numbers, there may be some ways to make some high and low *rough estimates* for what would the likelihood that Christian preachers would run into someone that could have seen Jesus’ burial. (The estimates would be prefaced, of course, by a number of methodological assumptions.) The goal would just be to turn the numbers into meaningful data, rather than to generalize. You were the one who brought up the 300,000 – 500,000 people around Jerusalem, after all. If this number has any significance, we should be able to say *how*. Statistics is how we do this, rather than just saying, “someone would have seen it.” I have a couple of colleagues who are philosophers who work in probability, and they may be able to tease out how to work with the numbers. But let me see if I can get in touch with them first, before we move forward. “Rather, what I’m looking at is your statistic of 300,000 – 500,000 people in the vicinity of Jerusalem during the Passover. I’m also going to look at Stark’s numbers for the growth rate of Christianity during the first couple decades of the 1st century (as well as Ehrman’s revised estimates)”. You won’t have any difficulty finding out why I mention a number of 300,000 – 500,000 in and around Jerusalem for the Passover, though. The estimates are all over the place, depending on which historian you read. My numbers are well under half of what Josephus reports, but, higher than the generally-regarded conservative estimate of 180,000 that Joachim Jeremias calculates (see “Jerusalem in the Time of Jesus”). Hutchinson reports “…at least 250,000 pilgrims…” for the Passover (see “Searching for Jesus: New Discoveries in the Quest for Jesus of Nazareth”), which, if using Jeremias’ “resident population” estimate, is over 300,000 in the vicinity. Heck, even wikipedia reports “…Jerusalem was packed with Jews who had come for Passover, perhaps numbering 300,000 to 400,000… (as per footnoted estimates of Funk – Jesus Seminar, and Sanders – The Historical Figure of Jesus). and But, like I say, it’s a wide range of estimates, and, I’d add that virtually nobody believes the population estimates given either by Josephus or Tacticus. So, I suppose you’ll have to come up with a range of estimates, and take into account the actual size of the walled city of Jerusalem, and how many would be encamped outside the walls. It’ll be interesting! Looking forward to seeing what you come up with! Okay, I sent off my email today to three colleagues about a number of the issues that we discussed above. I want you to know that the email was 2,273 words long (5 single-spaced pages). That’s about as much space as a short graduate essay. I take time responding to these comments, and I could have spent that time more lucratively doing Latin tutoring or working on my dissertation. When you post comments like this, which shoot off a bunch of issues, you are therefore asking a big favor from me to respond like this. I hope that you appreciate that fact. I wasn’t able to get to the comment until today, because I was visiting the doctor on Monday through Wednesday, and I slept terribly Wednesday night, so Thursday was a wash. I’ve so far spent all of my Friday since waking up addressing this thread. Ehrman’s comment on pg. 168 is picking up from his statement earlier in the chapter on pg. 152. He is clearly framing both remarks in reference to *Mark’s narrative*, not his own view. And he is saying that, from Mark’s perspective (and those who think like him), an empty tomb was necessary for a bodily resurrection. So Ehrman thinks that Paul held to a physical view of the resurrection (pg. 137), but he also thinks that the story of the empty tomb hadn’t circulated by Paul’s time (pg. 165). The only logical conclusion is that Ehrman does not, in fact, think that an empty tomb was “necessary” for the belief in a physical resurrection to emerge. I would like you to answer for the quotes that I have posted above, and your original comment, and to tell me whether you have fairly represented Ehrman’s views. I require that you make this answer before we continue the discussion. Your points about Ehrman’s views are noted. I’ll be looking forward to what you have to say about the estimated number of Passover pilgrims visited Jerusalem at the time of Jesus, because as far as I can tell, the issue we’re discussing is whether it’s likely anyone would have seen what happened with Jesus’ body. I brought up the issue of representing Bart Ehrman fairly, because you cited him above as allegedly supporting your view that the discovery of an empty tomb was necessary to get belief in a physical resurrection off the ground. But Ehrman does does not, in fact, take that position in HGBG. This is the kind of hyperbole and exaggeration that I am talking about in your comments. You are claiming that scholars support the kind of historical necessities that you impose on the evidence, when they, in fact, do not. In reality, they are open to a far wider range of explanations for Christianity’s origins. But when you take Ehrman’s statements out of context, it takes time out of my schedule to dig through HJBG, in order to reveal what he is actually saying in the book. And what he is actually saying is not what you claimed above. Why would you misrepresent him, therefore, when you are only confusing the debate by misquoting Ehrman in this way? This is why I asked you previously to answer whether you have represented Ehrman fairly or not, and you still haven’t done so. You’ve only said that my points about his views “are noted.” I’ll ask you again: did you represent Bart Ehrman’s quotes above accurately or not? I’ve received some emails back from colleagues about the issues discussed in this thread. It’s going to take a number of hours to put together all of the observations into a conjoined response. I won’t be able to do that today, because I need to visit the doctor about some health problems that are still persisting, unfortunately, that have resulted in me waking up sick both today and yesterday. I’ll work to get the response done this week, but it’s going to depend on when I finally wake up one of these days not feeling so awful. Writing this response is asking a large energy commitment from me, at a time when my health is precarious, so all I can do is keep it pending until things finally improve. I’m sorry about that, but this really caught me at an awful time. And truth be told, I need to be focusing on getting my life back together. Considering that a large part of my response has simply been making sure that you are even representing Bart Ehrman accurately, the conversation is also in many places tedious. If you aren’t even trying to understand what Ehrman’s actual views are, then you haven’t demonstrated that you are engaging in this conversation in good faith. Are we debating EHRMANS views? Look, I don’t care to debate one bit about what Ehrman says. It’s not as if he, or his views, are in themselves worth debating. You seem to be interested in Ehrmans *personal* beliefs, and I, on the other hand, am utterly disinterested in his *personal* beliefs. In short, I don’t even remotely *care* if Ehrman himself believes this, that or the other. My use of Ehrmans quotes were NOT to point out what HE believes – (because, as I’ve said before, in this message, I don’t really care what Ehrmans personal beliefs are) – but rather to point out that the generally-expressed “gospel message” – death, burial, resurrection of Jesus – is not, in my view, a plausible scenario without an empty tomb. And Ehrman is acknowledging that Marks “gospel message” doesn’t work without the empty tomb. So, look, if what you’re really interested in is debating something that Bart says, then, then, I’m out, because I just don’t put Bart in that high of a category. To me, he’s just Yet Another Historian, and one that many others disagree with for a variety of reasons. If I want to discuss Barts views with someone, I’ll go over and talk to him. First off, the issue is about Bart Ehrman’s *written beliefs* in the book that this essay is about. Comments that are made under this essay should start with a proper understanding of his views in that book. Second, by casting Bart Ehrman (a secular, non-religious historian) as agreeing with you, regarding belief in a physical resurrection “requiring” an empty tomb, you are casting that view as far more mainstream than it actually is. You’re making it sound like secular scholarly support tilts toward accepting that premise, and to doubt it is a more radical position. When, in fact, you are the one saying something that secular scholars like Bart Ehrman don’t actually assume as a given historical premise. Take good care of yourself Matt and put this stuff aside for while. did the scholars reply back? I am a fan of Matt Ferguson’s work because I sense that his positions are ones genuinely believed after careful consideration and not put up as apologetic bluster. I am saddened by his struggles with insomnia and medical issues which have limited his ability to carry on his work, to include interacting with you. Matt’s openness to any query is illustrated by his engagement with you despite his health issues. As a matter of courtesy, I believe you owe him an answer about your characterization of Bart Ehrman’s views, as he has requested. I would also say that if you think a statistical analysis on how many people might have seen Jesus’ burial is “a fascinating idea”, then why don’t you do the statistical analysis? To pay your $1 a month to Matt and then tell him you are “Looking forward to seeing what you come up with!”, especially in light of his health issues, seems to indicate a shortage of decency. That being said, I would like to ask something of you myself. If Jesus was buried in a trench grave or in the dirt somewhere after being removed from the cross on the day he was crucified, please lay out in full your evidence that a “procession” of people (gathered from the campers surrounding Jerusalem) would have followed the burial crew to the burial site. You mentioned Apion 2:205 – “All who pass by when a corpse is buried must accompany the funeral and join in the lamentations” – but this passage seems to have in view a funeral where lamentations are *already* occurring (“join in”), so Josephus seems to be describing an *honorable* burial in this passage, not a dishonorable burial. Regarding dishonorable burial, Josephus says, “He that blasphemeth God, let him be stoned; and let him hang upon a tree all that day, and then let him be buried in an ignominious and *obscure* manner” (Ant. 4.8.6). An “obscure” burial would seem to mean that nobody unnecessary for the burial should be there and, even if there were processions, they would be shrugged off in this case. Also, please explain how Apion 2:205 is even suggesting a “procession” as the body passes by *on its way* to a burial site. The passage seems to suggest that those “who pass by when any one is [*in the process of being*] buried” should accompany the funeral and join in the lamentations. You mention “Talmudic commentary” but provide no references, so please provide your references. Your also seem to appeal to Mt 27:55 – “Many women were also there, looking on from a distance” – as evidence of the “expected custom of following a body being carried to a grave”, but this passage is referring to the crucifixion, not the burial. “Many women”, let alone thousands of people, are not mentioned at Jesus’ burial in Mt 27:61. So again, please lay out in full your evidence that a “procession” of people (gathered from the campers surrounding Jerusalem) would have followed Jesus’ burial crew to the burial site, and provide full citation for all of the references. Read my previous post carefully. I gave him such an answer. You sure use a lot of “seems to”, and the one you used regarding the burial of Jesus – “Your also ***seem to*** appeal to Mt 27:55” – was totally a wrong “seems to”. Rather than expecting me to do your research and answer all your tentative “seems to” statements, why don’t you do your own research and tell me how things really were? Why don’t *you* tell *me* whether funeral processions were just “shrugged off” at times. And regarding Apion 2:205 – are you really balking at the word “procession”? Yet, what you describe – “those “who pass by when any one is [*in the process of being*] buried” should accompany the funeral and join in the lamentations” – is the very description of the formation of a procession. Are you really saying that “accompanying the funeral” is *not* a “procession”? Seriously? If that’s the case, well, then, let me just simply change the *word* I used from “procession” to “those following after the corpse being carried to the grave”. No, you did not give Matt an answer, and his last post (26 Jun) explains why. You might try using the word “seem” more often yourself to reflect the reality of trying to reconstruct 2000 year old history and trying to understand viewpoints different than your own. The rest of your comments suggest a lack of interest in honest discussion and warrant cutting this exchange short unless you have something more substantial to offer. On 16 June *you* were the one that put the words “many women” in quotes and said, “*One* of the gospels says that there were “many women” at the tomb”. No English translation of Luke 23:55 says “many women”, so try being more precise next time that you are referring to both Matthew and Luke. You ignored my evidence that Apion 2:205 has in view a funeral where lamentations are *already* occurring (“join in”), and therefore has in view an *honorable* burial. So please explain: In your view, does Apion 2:205 *mandate* a procession for a *dishonorable* burial of a criminal and, if so, how do you reach that conclusion? 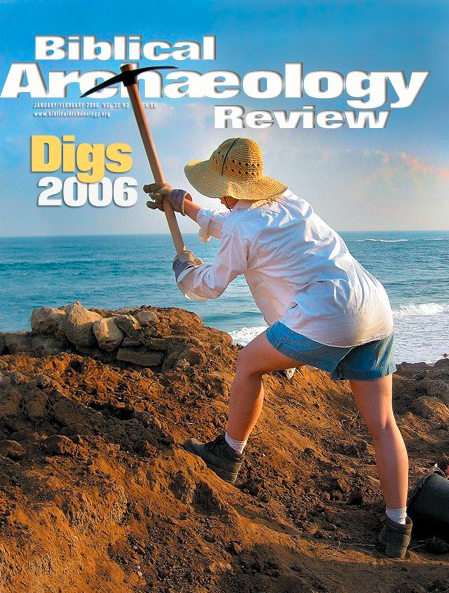 You ignored my evidence that Jews conducted “obscure” burials for some criminals (Ant. 4.8.6). So please explain: Do you think a procession and mass attendance occurs at these “obscure” burials for criminals and, if so, what is your evidence? So now in addition to the questions above, I ask you again: If Jesus was buried in a trench grave or in the dirt somewhere after being removed from the cross on the day he was crucified, please lay out in full your evidence that a “procession” of people (gathered from the campers surrounding Jerusalem) would have followed the burial crew to the burial site. Following after a corpse being carried to the grave is a very well-known, and ancient Jewish burial custom. Without even bothering with Josephus, one can simply read in the entry for “Burial” in the Jewish Encyclopedia, which states “Besides the relatives and friends (Gen. 1. 7), any stranger was also expected to follow when he saw the dead carried to the grave, lest it be said of him “the one who mocketh the poor reproacheth his Maker” (Ber. 18a, after Prov. xvii. 5)”. Evidently, the writers of the JVM understand the Josephus entry in the same fashion which I understand it. So, did anybody follow when Jesus was carried to be buried? “Plausibility” is the word here.. and, I believe it most plausible that a number of people followed as Jesus was carried to the grave. This was the Passover, there were thousands and thousands of people camped outside of Jerusalem, Jesus had been crucified in a place of high visibility (according to Ehrman and others, as per Roman “norms”), and I believe it most plausible that a good number of people would have been nearby, and would have seen Jesus carried to his grave, and they would have followed the Jewish custom, and followed as the body was being carried. As to “obscure” burials for criminals: Yes, this is true. The *burial*, or, really, the “place of burial” was often obscure. That has nothing to do with whether people followed as the corpse was being taken to be buried. This is after you decided to drop yourself from my Patreon page, after only contributing $1, even though you were also taking up my time earlier, when you knew that I was facing health problems, to ask me to engage in with your comments. And it’s also after the point that you did in fact misinterpret Bart Ehrman’s statements in HJBG, and when I pointed that out to you, rather than being charitable and acknowledging that you made a mistake, you buckled down on trying to distract from what you did by denying that it was important. Yes, a large amount of this post is indeed about Ehrman’s beliefs and what he wrote in HJBG, and you commented about those very things (incorrectly), taking time out of my schedule in order to sort out the record. In any event, the scenario you are presenting is actually pretty unlikely, if we take the Gospels at face value. This is because Jesus was ostensibly buried not just during the Passover, but also as the Sabbath approached. People would would be home, or hurrying to be there. Indeed, there were so many household chores required before sundown, it’s hard to imagine women could be out at all (e.g., they’d be busy starting fires and cooking food, lest they be cold and hungry through the night because they could not light one after sunset nor cook). Granted, these women are supposed to have been pilgrims, but that doesn’t mean they were rich enough to have servants or taverns taking care of their Sabbath prep. And all their men ran away! Maybe there were “other women” in the group that stayed back at their campsite or room to complete Sabbath prep, but how much do we get to “invent” convenient details like that? Pilgrims could not travel home on the Sabbath. They’d be camping it out, and depart Sunday (or Saturday night, if they really had a bug up about quitting town). That’s precisely why the crowd would have been dispersed. Indeed, most would have scattered even before Jesus died, getting home to prep or hunker in for the Sabbath. And the more, the nearer to sunset it became. Doubtful anyone would deem it wise or sensible to follow the corpse all the way to the criminal’s graveyard, when they’d be better off heading home to beat sundown. Someone would nevertheless risk it. Hence why someone appointed by the Sanhedrin, such as Joseph of Arimathea, would have gotten the body either buried or stored before sundown; it was literally the law. But not many can be assumed to act by the same motives. And, of course, how much would a group of people go through these steps for any other crucified criminal buried that day? And also yes, the pilgrims would all be gone by the time anyone ever claimed Jesus’s body was missing (or that he was raised in any sense at all). Acts said they didn’t even announce that until Pentecost, fifty days after the fact. But certainly no one had spread the news beyond his fanatical mini-circle before sundown Sunday, by which time indeed many pilgrims would have headed home. Some will have stayed to complete the full sequence of holidays, but likely very few; how many could afford to be idle a whole extra two months? (In addition to the days, weeks or months they’d be traveling to and from Jerusalem.) And since Acts says (if, after all, we are playing this game of believing the Bible) the resurrection wasn’t even announced until Pentecost itself, how many would still be in town, and how many of them could recall where exactly to go and check the body after all that time, and how many would even try, and how would they confirm any body was even there or not? A dirt grave would be a capital crime to exhume to check (which is why even the Sanhedrin could not have checked; if they hauled out any body, they’d all be murdered in the streets by mobs of faithful Jews damning them as abominations before God). My statement is fully an acknowledgement that Ehrman does *not* believe in the “empty tomb theory”, but rather, concludes that it is a fiction. Obviously, I never said Ehrman thinks it is *necessary*, because it is not a view which he adheres to. But, for Marks gospel to “work” – in Ehrman’s view – the empty tomb was essential. Ehrman doesn’t buy into Marks account himself. But, I agree entirely with his assessment of the essentiality of the empty tomb to Marks narrative. I didn’t misrepresent anything at all that Ehrman says. You have misrepresented what I said. Ehrman does not think that. He specifies quite clearly that he does not believe the empty tomb story existed during the time of Paul (pg. 165), and yet he still argues that Paul believed in a physical resurrection (pg. 137). So Ehrman is not claiming that an empty tomb was necessary to get belief in a physical resurrection off the ground. I realize that you are intermixing some of your own points to build on what Ehrman says. But that’s not what Ehrman argues, he does think that the story of the empty tomb did not exist during the time of Paul. You weren’t at all specific about that. You started out referring to the alleged necessity of an empty tomb, by saying that Ehrman thought it was central (without specifying that Ehrman is referring to the development of Mark’s narrative in the 70’s CE, and not 20-30 years prior). But Ehrman clearly does not think that an empty tomb was necessary for belief in a physical resurrection, since as I pointed out to you, he argues that Paul believed in a physical resurrection before the story of the empty tomb (pg. 137; 165). And there was still no acknowledgement of the fact that Ehrman was saying that an empty tomb was needed *for Mark’s narrative (70’s CE)*. But you didn’t say that before. Your comments contained running tangents conflating 1) the 20-30 years after Jesus’ death, and 2) the time Mark was composing his narrative (70’s CE). I don’t see any awareness on your part that Ehrman was referring to 2) Mark’s narrative, until I pointed that out to you. Considering that I’ve taken 2 ½ pages, just to respond to this part of your text walls, when you know that I am busy, after you keep posting more and more in a seeming effort to drown me out, makes me disinclined to want to interact with you further. Sorry, but I am not interested in carrying this conversation any further. You have had more than enough space above to express your opinion. And how on earth can you possibly make claims about “I don’t see any awareness on your part that Ehrman was referring to 2) Mark’s narrative” when the VERY TOPIC thesis of this whole thread says, in the very first paragraph, “… one of the points of controversy that arose when the book was first released is the fact that Ehrman does not endorse the historicity of Joseph of Arimathea’s burial of Jesus, nor the discovery of Jesus’ empty tomb as a “historical fact”. What, in God’s name, did you THINK we were talking about??? This is why I stepped out of this thread a long time back. And, am doing so again. It’s a total waste of time. Taking these quotes out of context can be very misleading, because it creates the impression that Ehrman is saying an empty tomb was necessary for belief in a physical resurrection, in the context shortly after Jesus’ death. But that’s not what he was saying. He was referring to the time of Mark composing his narrative (70’s CE), and what Mark deemed necessary for the resurrection belief to be proclaimed. Ehrman clearly thinks that an empty tomb story was not essential to get belief in a physical resurrection off the ground. This is clarified when you read his statements about the empty tomb story not existing during the time of Paul (pg. 165), and yet Paul still believing in a physical resurrection (pg. 137). You are wrong. Ehrman clearly argues that belief in a physical resurrection emerged before the story of the empty tomb. YES, BUT YOU CLEARLY UNDERSTOOD THE CONTEXT. You yourself STATED the context in your first paragraph. I was hoping you had something more substantial to offer so I could learn something from you, and I still hope you do have something more substantial to offer. Let’s just address the criminal’s burial first and, if I sense an honest exchange going on, then maybe we can progress to a non-criminal’s burial and the issue of all the campers being outside the walls of Jerusalem at Passover while Jesus was (hypothetically) buried in a trench grave. Josephus says that some criminals were buried in an “ignominious and obscure” manner (Ant. 4.8.6). If you look these words up in a dictionary, ignominious means “deserving or causing public disgrace or shame”, and obscure means “keep from being seen; conceal”. While not 100% conclusive, I think the weight of these words favors no procession for a criminal’s burial much more so than your idea of a procession, because a procession would seem to be a way of honoring the dead, which is not what one would seem to want to do for someone who has been disgraced and shamed. It is one thing to assert that this Josephus passage *only* refers to an obscure “place” of burial and quite another to show that this is *all* that is intended. You need to more carefully choose your words or give actual evidence that this Josephus passage *only* refers to an obscure “place” of burial. Please do so. The Rabbinic literature is much later and therefore suspect in its applicability to the early first century, but in addition to the Josephus passage above there is Semahot 2:6: “For those executed by the court, no rites whatsoever should be observed.” Again, not 100% conclusive, but I am thinking that “no rites whatsoever” most likely includes no procession. The translator of my copy of Semahot (Dov Zlotnick, 1966) says for this passage “funeral rites were withheld from them” (pg. 100). Lastly, Maimonides seems a pretty smart guy on Jewish customs and he takes it for granted that processions were not allowed for disgraced Jews: “What are the practices that must be observed by the person who is ostracized and those who come into contact with him?…Needless to say, eulogies are not recited for him, nor is his bier accompanied” (https://www.chabad.org/library/article_cdo/aid/911561/jewish/Talmud-Torah-Chapter-Seven.htm). Do you still think a criminal’s burial would have included a burial procession? If so, please lay out in full your evidence for this, including references. If you want to continue the discussion with ftbond, have at it. I’m not really interested in chatting with him further. 2. the lack of an observed “time of mourning”. Does it also apply to whether there were other rites – specifically, whether it could be expected that a criminal have a funeral procession? Your quote from chabad.org is (I’m afraid) taken badly out of context. What that whole discussion is about is in regards to those that have been “ostracized”, even “excommunicated”. People in that category were, in a very real sense, regarded as “outside the Jewish community”, and (essentially) as Gentiles. The “chabad” entry you quote even tells the conditions under which one might be placed under a ban, or excommunicated. And, it can be for certain *sins* – not necessarily even *crimes*. I would suggest that the quote from chabad, which you offered, is not really relevant to this discussion, unless there is some evidence offered to demonstrate that Jesus had been placed under a ban, or excommunicated. To move ahead: What does Josephus mean by an “ignominious and obscure” burial? I think we would agree that criminals were indeed buried. So, what made their burial “ignominious and obscure”? Was it just the place of burial, or did that “ignominious an obscure” *burial* also imply that there was no funeral procession? I’m thinking that we might agree that *not* being buried in an ancestral tomb, but rather, in one of two places prescribed by the court for executed criminals, this could account for at least part of the “ignominious and obscure” nature of the burial that Josephus is referring to. This burial is certainly not one of honor. So, what about the funeral procession? Was Jesus executed for something which would have warranted capital punishment under Jewish law? If he was not, then he would have deserved to have been mourned, and full burial rights should have been accorded to him. I would strongly suggest that it is far more likely that the Jews themselves, on something of an “individual” basis, would decide whether to follow the procession or not. And, I would suggest that (at least) the women who had accompanied Jesus from Galilee would have been part of that procession, because for them, Jesus would not have been executed for any valid reason at all. And, I believe it to be plausible that there would have been many who followed the procession just as an “up yours” to the Romans. I myself have simply not found any specific prohibition at all, in Jewish law, stating anything like “neither family nor friends can follow the bier, nor attend the burial of an executed criminal”. Maybe one exists, but I simply haven’t found it. I shall have to leave that to you, I suppose, but I will be very glad to share such information with you if I can find it. So, given that I have not, as yet, found any specific prohibition against friends, relatives (or anyone else) actually *attending* the burial of a criminal, but rather, have found only that certain rites are denied (ie, “mourning” – a specific procedure), and given that a person who was executed by a government, not according to Jewish law, was (and still is) a possible recipient of *all* rites, and given that Jesus’ execution was in the most visible place possible (as per Ehrman and others), and that it is likely that Jesus would have at least been followed by the women who accompanied him from Galilee, then I believe it is most plausible that others would have joined in that burial procession, if for no other reason than to “spite” the Roman executioners, but equally likely, to simply pay respects to a Jew that was known to be ” a wise man”, a “doer of startling deeds, a teacher of such men as receive the truth with pleasure”, and one who “gained a following both among many Jews and many of Greek origin”, according to the most accepted reconstruction of Josephus’ statement about Jesus. So, yes, still, at this point, I believe it most plausible that Jesus, being carried to his burial place, would have indeed been followed by a procession. stardust – with apologies, an addendum to my previous diatribe. The Rosenbergs, as you probably know, were executed for espionage against the US. So, they were executed as criminals. Yet, in a Jewish cemetary, they were accompanied by some 500 people to their burial. Was this a case of two Jews being executed, by a government, for a crime for which they would not have received the death penalty? I do not know the answer. However, I do know that many felt the Rosenbergs had been “railroaded”, and should not have been executed even under US law. Thus, in some fashion, we see two “convicted criminals” (convicted by a government, not Jewis laws) being not only buried honorably, but, having certainly been followed in a procession to their burial. When I said “let’s just address the criminal’s burial first”, I was thinking of people who the *Jewish* authorities viewed as a criminal. You mixed a whole lot of other stuff in there of people who the *state* viewed as criminals but the Jewish authorities did not, and you also threw in stuff about people who nobody viewed as a criminal (e.g., Lk 7:11-17). So can we slow down here? Let’s just try to answer this one question: If the Jewish authorities thought Jesus was deserving of death for blasphemy, even if the charge had no basis (as suggested in Mk 14:64), do you think there would have been a procession following Jesus bier to his burial spot? I mentioned Semahot 2:6, but I did not see where you responded to that. Here it is again: “For those executed by the court, no rites whatsoever should be observed.” Of course the court did not actually execute Jesus themselves, but if they handed Jesus over to the Romans to be executed, it seems reasonable to me that they would have treated Jesus the same as if they had executed Jesus themselves. Do you think the phrase “no rites whatsoever” in Semahot 2:6 allows a procession? The same phrase is used in Semahot 2:8 for excommunicants, which you seem to agree would not have been allowed a procession. I think you dismiss Maimonides opinion too easily. Maimonides says “Needless to say” there are no processions for someone under a ban. If it need not even be said that there were no processions for someone under a ban, does it need to be said that there were no processions for someone charged with blasphemy? (BTW, excommunicants and those under a ban could still enter the Temple, so I am not sure it is correct to say that they were “essentially as Gentiles”). I also think it is possible that Jesus was placed under a ban at some point regardless of whether the charge was legitimate. I do not know much about bans, but I think just disgracing a Festival, challenging a sage, or pushing the purity or Sabbath rules could result in a ban (all of which could be debated whether Jesus did any of these). Maybe the Jewish authorities placed Jesus under a ban as soon as he created some incident in the Temple. I would imagine that some of the banning infractions involve judgment by the authorities, which it would just be human nature if they were biased if they did not particularly like you. I agree that Josephus’ “ignominious and obscure” burial for criminals (Ant. 4.8.6) does not directly answer the question of processions, but I still think no procession fits better with the character of the burial being described. I am curious about your careful choice of words “time of mourning”. In your mind, could any who were with the bier as it was heading to the burial site (if that was allowed) mourn? I agree that a burial in a designated criminal’s graveyard (if such a thing existed at the time of Jesus) could be part of an “ignominious and obscure” burial, especially if the criminal had a family burial place that was denied (although I think most criminals were from the poorer class and did not have family burial plots/tombs). As I said above, I think banning processions would also add to the dishonor. Your parsing of rabbinic authority vs first-century Jewish authority seems like a splitting of hairs to me. I think first-century Jewish authorities could probably see to it that Jesus was buried in any way they saw fit. Even if a procession ban did not include close family/friends (which I do not see how you can reach that conclusion), I think fear of retribution and ridicule, shame at following a false Messiah, and the prohibition against mourning, would have prevented the women and any male followers that had not already fled from attending Jesus’ burial. Why attend if you cannot mourn, lament, eulogize, and your home turf is a ten day journey away so Jesus’ burial location is not really of much import, and the authorities might identify you as the next troublemaker? It seems unlikely to me that an “up yours” attitude toward the Romans would have overridden these other issues. Sounds like the Jewish authorities had nothing against the Rosenbergs (i.e., not Jewish criminals). I have already stated that given the information I have, I would still believe that there would have been a procession following Jesus’ bier to his burial spot. Let me cut to the chase on this one: It has not been established what is meant by *rites*. Was a procession a “rite”? I have found no information whatsoever that leads me to believe that a procession was considered a “rite” at all, any more than the *burial itself* was considered a “rite”. A burial is considered as an *expectation* – for Jew, Gentile, even enemies – in Jewish law. The burial itself is not a rite. And, to date, I have found no information at all that leads me to believe that following a procession was considered a “rite”. For that matter, I have no information that leads me to believe that friends and loved ones attending the burial of even a criminal was considered a “rite”. I do not think it is wise to assume that following a procession was even considered a “rite” at all. In Judaism, the rabbi nor a cemetary worker buries the dead. . Rather, the bereaved family, assisted by the community, is responsible for this mitzvah [commandment] – called “lavayah” (escorting) – of bringing the dead to the designated burial spot. This was *mitzvah* upon the family. I do *not* believe this is considered a “rite” at all. A “rite” is “optional”, and sometimes not applicable. A mitzvah is an expected duty. If it was a mitzvah for the family (or, by extension, the loved ones) of a deceased person to carry the deceased to the place of burial, it is difficult to understand how this could be considered a “rite” at all. It is a “given” that the body would be carried by family or loved ones. It is a given that those same people would be in attendance at the burial. Perhaps you can show me something from Jewish law that specifies processions as being a “rite”? Or, perhaps, you can show me where “following a procession” is considered some type of “rite”? I have found no such information. All the information I have found so far seems to indicate that it was an “expectation”, and not a rite at all. Regarding Semahot 2:6 – “For those executed by the court, no rites whatsoever should be observed” – I agree that what is meant by “rites” is not explicitly spelled out and that perhaps it is a judgment call. Maybe we can ask three experts what this passage means. Let’s start with Maimonides, who seems to view funeral processions as something that was done in *honor* of the dead: “Although a person sells his grave, the path to his grave, the place where the funeral procession stands *in honor of* the departed, or the place where eulogies are recited, the family may come and bury the deceased there or perform any of the other rites against the will of the purchaser” (https://www.chabad.org/library/article_cdo/aid/1363967/jewish/Mechirah-Chapter-Twenty-Four.htm). If I had to lay a bet, I’ll bet Maimonides would say that there were no processions for a criminal executed by the court, because we do not want to show him any *honor*. In this case, Maimonides is essentially saying in the previous passage that I sent you, “Needless to say,” even in the case of a minor ban, there is no procession (https://www.chabad.org/library/article_cdo/aid/911561/jewish/Talmud-Torah-Chapter-Seven.htm). Dov Zlotnick wrote my translation of Semahot, with scholarly notes, in the Yale Judaica series in 1966 and, as far as I know, has not been superseded by a better English translation. Zlotnick was emeritus professor of Rabbinic Literature at the Jewish Theological Seminary. A master pedagogue, Zlotnick taught Mishnah to generations of Seminary students. He also published a comprehensive study of the Mishnah, entitled The Iron Pillar: Mishnah – Redaction, Form and Intent (1988), and numerous pamphlets and articles. In my translation of Semahot, Zlotnick translates the Hebrew in the *exact* same way – “no rites whatsoever should be observed” – in five passages that refer to funerals for dismembered/miscarried fetuses (1:8), heathens and slaves (1:9), suicides (2:1), those executed by the court (2:6), and Jews who had severed all ties with their people (2:8). In his endnote for Semahot 1:9 (pg. 99), Zlotnick gives what appears to be a definition of our phrase in question: “ ‘no rites whatsoever’ – i.e. funeral oration or *procession*.” Zlotnick then cites in support of this Nahmanides Torat ha-Adam 27b that, as far as I can tell, is only available in Hebrew and so I cannot assess it, but Nahmanides is just a medieval interpretation anyway so is not definitive on what the Semahot author meant. In his endnotes for Semahot 1:8, 2:1, 2:6, and 2:8, Zlotnick does not repeat the definition he gave in Semahot 1:9; instead, Zlotnick says things like “funeral rites were withheld from them” and “no funeral rites were to be observed”. Again, if I had to lay a bet, I’ll bet Zlovnick would say that of course “no rites whatsoever should be observed” in Semahot 2:6 meant no “funeral oration or procession”. Saul Lieberman served as Professor of Talmud at the Jewish Theological Seminary of America for over 40 years, and for many years was dean of the Harry Fischel Institute in Israel and also president of the American Academy for Jewish Research. In the Harry Austryn Wolfson Jubilee Volume (Jerusalem, 1965), Lieberman says, “The tractate Semahoth (II. 1) rules that he who destroys himself deliberately is not to benefit from any funeral rites, i.e. no proper eulogy is pronounced, no prescribed *funeral cortege* is permitted etc….The phrase of Semahoth [Hebrew is then given, which has got to be the phrase that we are talking about that is also in Semahot 2:6 and the other passages] means that no funeral rights are administered to him, i.e. no proper eulogy is pronounced, no prescribed *funeral cortege* is permitted etc.” (pg. 516-517). Again, if I had to lay a bet, I’ll bet that if you asked Lieberman if a procession would have been permitted for a felon executed by the court, I’ll bet he would first remain silent and say nothing, and then respond as R. Aha bar Jacob did when someone asked where in the Torah there is proof that one has to bury the dead: “The world is handed over to idiots” (B. Sanh. 46B). Do you still think processions would have followed those executed by the court to their burial place? No ill will meant with that parting comment by the rabbi; I just thought it was a humorous example of how the rabbis responded to various questions in their own time and how I think they might respond to our question about processions. I intended in a kidding manner, not a hostile one, but my wife gave me a frown when I told her about our exchange, so I figured I better patch things up. Thanks for that additional note you added. I was beginning to think you were a tad on the “hostile” side. So, I appreciate that. All of which Zlotnick says is exactly my understanding of the traditional Jewish views: It makes perfect sense that dismembered/miscarried fetuses, heathens and slaves, suicides, those executed *by the court* and Jews who had severed all ties with their people would not be given rites. I would still strongly assert, as I asserted in an earlier post, that Jesus, having been executed by the Romans, and not by a Jewish court — would not have fallen into any one of these five categories. We, today, do not factually know the specific charges for which Jesus was crucified by the Romans. In fact, we don’t know if there were *any* specific charges made, or, if Jesus was just executed by Pilate for no particular reason at all. And, I would argue that the thousands of people who potentially could have seen Jesus’ body taken down and carried to a tomb would, like us now, not have known what Jesus had been executed by the Romans for, and thus, would not have had any reason to *not* have followed, as was the expected custom, as the body was being taken to be buried. They would not have known that Jesus was “executed at the suggestion of the principle men among us” (as per Josephus), nor would they have known whether a bonafide trial for a bonafide capital crime had been undertaken by a Jewish court. This, though, does *not* mean that “rites” (which would indeed include “mourning” – ie, the tearing of one’s clothes, taking off of one’s shoes, etc) also *includes* the “procession”. *In the five cases mentioned* – it makes perfect sense that neither rites NOR a procession are given. Only the burial itself is done. Just as it would have been even for enemies of Israel. To wrap this up, in simple terms: Even *if* we grant that a “procession” was considered a “rite”, still, under the five prohibitions mentioned, it is entirely unclear whether Jesus’ case would have fit any of those prohibitionary clauses. Especially in the view of the uninvolved onlooker who, by very strong Jewish custom, would have had some inclination to have followed the corpse as it was carried to it’s burial place. Regarding “processions’ in general: I would suggest that one should not “formalize” a “procession” in first-century burial practices too much. Following a body being carried to a grave is just what the Jews *did* – in the same way that we slow down or stop for a funeral procession in our cars. If it was a Jew being buried, people simply followed after. I would suppose that, if they *knew* the person being buried was an excommunicated person, then, they wouldn’t follow. But, if they didn’t *know*, then the general practice was simply to follow after the corpse. Again, it’s just “what people did”. *Strangers* did it — people who woudn’t have a *clue* as to the person’s “status”. One has to immediately ask: “Who is the *we* he’s talking about?” if nobody attended the funeral? If nobody attended the funeral, then there was no “procession”. But, if they did, then clearly, someone has “followed the corpse”. Whether it is *formally* a “Procession” or not, there they are. So, to answer your question “Do you still think processions would have followed those executed by the court to their burial place?” Perhaps not. To answer THE question: “Do you think anyone would have followed as Jesus was being carried to his burial place?” I would answer “yes”. Thanks for conceding that “no rites whatsoever should be observed” includes no processions, and I note your reluctance. You are welcome to change your mind any time, hopefully with some good evidence or good scholarly judgment that can stand up to the three scholar citations that I provided. I confidently stand with Maimonides, Zlotnick, and Lieberman on this issue and will consider this part of our discussion settled unless you offer something new. As I said before, although the Jewish court did not actually execute Jesus themselves (because the Romans would not let them), if they handed Jesus over to the Romans to be executed, it seems reasonable to me that they would have treated Jesus the same as if they had executed Jesus themselves. I think you are parsing words that you probably know down deep do not reflect practical realities. In fact, one could argue that “the court” (i.e., the judges) never executed anyone. Professional executioners or witnesses or townspeople probably did the execution when the Jewish authorities had capital punishment authority. So does that mean all criminals were buried with full funeral rites because none were executed by “the court”? Your welcome to your opinion, but unless you have a better argument or some solid scholarly support for your view, I will consider this part of our discussion settled as well. If Jesus was executed by the Romans based on a trumped up blasphemy or other charge that would normally have resulted in capital punishment by the Jewish authorities, then “no rites whatsoever” would have been observed, which includes no procession for Jesus. Even if the Jewish authorities did not fabricate a capital punishment charge against Jesus, or even if we accepted your view of Semahot 2:6 (that the court did not itself execute Jesus, so Semahot 2:6 does not apply), if Jesus was under a ban for some infraction, then Semahot 2:8 and the Maimonides ref given earlier come into play and Jesus would *still* have had “no rites whatsoever”, i.e., no procession. I agree that we, today, do not factually know the specific charges for which Jesus was crucified by the Romans, if any. I also agree that we, today, do not factually know the specific charges leveled at Jesus by the Jewish authorities, if any. Regarding your proposed robotic-like behavior of Jews falling into a procession at every bier that passes, if some Jews were not supposed to get a procession (as you concede is the case when Semahot 2:6 or 2:8 applies), then obviously there was some mechanism for people to know not to follow the bier. Maybe the shofar was not blown in these cases. Maybe the bier in these cases was only accompanied by a small burial crew and there was no mourning or lamenting going on, so it was obvious that it was not a bier to fall into a procession for. It’s anyone’s guess as far as I can tell, but there had to be *some* mechanism to prevent processions for some biers, otherwise processions would have been following all criminal burials. I would love to see an expert weigh in on your question about suicide burial where “We only stand for him on a line and say the blessing of mourners for him, and any other thing that is respectful for the living.” Your source probably gets this idea from Semahot 2:1 which says basically the same thing for suicides: “people should line up for him and the mourner’s blessing should be recited over him, out of respect for the living”. My best guess is that, out of our five cases in Semahot where “no rites whatsoever” were observed, there may have been a mourners blessing said near the burial site in the case of suicide. It might also be possible that this scene is occurring in the family’s home. If you have (or can get a copy) of Dov Zlotnick’s Semahot (1966), pg. 100-101, he was a couple of small print endnote paragraphs on this topic with several rabbinic references. I have gone through all of his remarks and all of the rabbinic reference and cannot get a clear picture of what is actually occurring and where. I would definitely be interested if you decided to study this subject and could make sense of this. And, as I’ve contended, neither would the masses that had gathered for the Passover known what Jesus was crucified for. We can imagine, suppose, even “make up” all kinds of “mechanisms” by which it was announced “This man on this bier should not be followed to his grave”, yet, I’ve never found any evidence that such a mechanism has existed. Nor have I found any evidence that anyone other than family, close friends, or in the absence of such, the local “burial society” would have carried a body to a grave – including criminals. Does this mean there would have been a procession? Well, I’ve already conceded [ for this conversation ] that there would not be, in the case of one executed for a capital crime. The question remains, then: What was Jesus convicted for? And, who would have known it? I believe that the *reality* of the thing is this: Jesus was “yet another Jew” that had been crucified by the Romans for some infraction that would never have warranted a death sentence under Jewish law. I believe that the harshness of Roman rule was well known in Judea, and I believe there was no great amount of “good feelings” from the Jews toward the Romans. I do not buy into the notion that onlooking Jews would have simply figured “well, whatever he got crucified for, he probably deserved it”, and blown off following the body being carried to a burial place. I think it is entirely plausible that some, if not many, would *not* have made that assumption, because there had been many that had been crucified in Judea for crimes or “infractions of Roman rules” which would never have warranted the death sentence under Jewish law. With the rarity of executions under Jewish law, and with the great frequency of them under Roman rule, I believe it is entirely plausible that many – if not the majority – of Jews that saw another Jew crucified by the Romans would be strongly inclined to believe the sentence was unjust under Jewish law – whatever the infraction might have been. Hence, they would have felt no prohibition against following after the bier. So, Zlotnicks fine scholarship noted, still it remains that a Jew convicted and executed by a government for a crime that would not have been a capital crime under Jewish law, all burial rites were permitted. I’ve even given a modern-day example of this, in regards to the Rosenbergs. And, although I have not made a study into this aspect, it would not surprise me that such rulings may have come about *because* of Roman rule and Roman executions. I do not, for a minute, buy into the notion that a death sentence meted out by the Romans would have been *assumed* by Jews to have been a just judgement on the part of the Romans. In fact, I believe many, if not most, would have assumed to the contrary. BTW – I do not think “robotic” is the way I would respectfully describe a long and very deeply held Jewish custom. Words like “cherished”, “of utmost importance”, and “because every man is made in the image of God” as reasons for the traditional following-of-the-bier come to my mind. I think we are going in circles a little bit here. You are welcome to think otherwise, but there *had* to be some mechanism by which Jews could tell that a bier was not to be followed (as you have conceded was sometimes the case). I gave two possibilities, and neither requires knowing anything about the person on the bier. I think it is expecting too much from the rabbinic literature to ask that it tell us exactly how Jews knew when they were or were not supposed to follow a bier. As I already suggested, maybe just the absence of the shofar, or the absence of anyone wailing/mourning/lamenting would be all it took. Why were these suggestions unreasonable to you? Your focus on the unlikelihood of capital charges against Jesus seems to have forgotten what we already talked about. If there were no capital charges against Jesus, any infraction resulting in a ban (maybe just speaking against the commercialization of the Temple and/or creating an incident in the Temple area during Passover?) would have been all it took for there to be no procession for Jesus (Semahot 2:8 and the Maimonides ref given earlier). And none of the charges even needed to be legally legit; they could have just been trumped-up because Jesus was not particularly liked among the Jewish establishment. I don’t think we’re going in circles. We simply don’t agree, and that’s fine. I would agree entirely, and, especially in regards to the first century. It’s not as if the general populace even *knew* of the “legal wranglings” of the Rabbi’s, any more than I know of case law determined in our own court system. Just to affirm: I don’t *disagree* that there might have been some type of mechanism by which onlookers understood “this is not a bier to be followed”. I just don’t know that we have any evidence whatsoever that such a mechanism was used in the case of Jesus, if it was used. I have just never seen mention made of any such mechanism. It’s a good conjecture, and it makes sense. If you were writing up your “scenario” of what you think happened, I’d say it would be at least a “reasonable” assertion (meaning, the mechanism), but it would be lacking documentation of any prior such event to back it up. But, you could certainly just ask an Orthodox Rabbi what the Orthodox do these days, and it might at least give a hint at what the first century Jews might have done (maybe… it’s just an idea). I’d also affirm that it could be supposed in that fashion. Or not. I am clearly taking the “or not” supposition. We’re not going in circles. These are the points on which we disagree, in terms of what we each think is plausible. Here’s what it gets down to: Jesus was crucified by Pontius Pilate in Jerusalem at the Passover (as per Josephus). A number of different stories follow. Ehrman thinks Jesus’ body was left on the cross for some indeterminate time. Some believe Jesus was buried in a common grave, among criminals. I, and many scholars, believe his body was taken from the cross and put in a nearby tomb, because it was the Sabbath. If one is proceeding from that notion (as do I), then, there are physical and cultural realities that have to be considered: the nearness of the tomb, the high probability of many people camped nearby, the “shortness” of the events (taking the body off the cross, getting it to a tomb nearby in a somewhat hurried fashion), the fact that nobody *knew* what Jesus and been crucified for, and the possibility (which I think is most plausible) that nobody *cared* what Jesus was crucified for, because it was the Romans that did it, and, I believe it was likely that nobody assumed the judgement was a just judgement. And – because of the time constraints, the nearness of the tomb, the great “un-planned-ness” of even taking Jesus body off the cross, etc, I don’t really see when (or even why) anyone would have come out and told anybody “don’t follow this bier”. But, that’s *my* contention (in a very informal fashion, please take note). We just differ, I believe, on what we think happened. I appreciate the discussion and respect your decision to take the basic burial account in the Gospels as history. If correct, the women were there to see where Jesus was buried (which was the whole point of the burial story in my view), so there is no need for you to posit a procession, but if you think there was a procession of people there, well, that’s your prerogative. All the best in your endeavors, and if you think of anything that might be implausible about a ground burial for Jesus, I would be interested in hearing about it. In all honesty, I think it would be more accurate to say that I do not see how the story (of Jesus’ burial) could be anything different than what the Gospels happen to say. I don’t know if there were really women at the tomb burial or not. But I posit a procession simply because that’s what I believe a first-century Jew in Judea would *do*. If you and I were, right now, living in a country that had been over-run by ISIS, and if ISIS executed one of our brothers, would *you* think our brother had gotten a fair trial, and that the execution was just? I can only speak for myself, but I’d say “hell,no, and I’m going to give him a decent burial”. I don’t think the first-century Jews, living under Roman rule, would have had any different sentiment than mine: any “trial” by the Romans was going to be, by definition, unjust, and any death sentence, unwarranted. But, that’s just me. I suspect, though, that most people in an oppressive, ISIS-like situation, would feel much like I would. (And, I hope you’ll accept the “informality” of my statement above. I’m not making any “formal argument”, thought. Just talking with someone from a shared culture that might at least understand the sentiment, even if not agreeing with it). As to ground burial for Jesus: I feel certain that ground burial was the most common form of burial among the Jews (with rock tombs available primarily to those with “means”), and most certainly, for executed criminals, a ground burial would have been the norm. So, in both these respects, a ground burial of Jesus would indeed seem very plausible indeed. The biggest problem, as I see it, with a ground burial for Jesus is that I don’t know how you get from that to a “physical resurrection”; a guy *claims* he’s seen a dead person, bodily alive. In the absence of an empty tomb – meaning, a known “disappearance” of a body from a place where it was known to have been placed – then all you got is a “ghost story”. Doesn’t matter how much the would-be evangelist *claims* it was an actual “resurrected” body. People have been seeing “dead people” since time immemorial. Even Homer writes a ghost tale (and, I’m not sure he was convinced that the character in the story, seeing the ghost, wasn’t just subject to his own imagination going nutzo). Such tales of “I could swear I saw so-and-so alive again” are so common that most adults, upon hearing such a story, will respond with “yeh, I had something like that happen too, when my little dog died, and I kept on ‘seeing’ him in different places”. That’s the biggest problem I see. Peter tells someone “I saw Jesus alive again, and he’s been resurrected”, then somebody says “so, how do you know the body isn’t still in the grave? Did you go dig it up or something?” If the answer is “well, actually, no, I haven’t dug up the grave, and, in fact, I don’t even know where it is – BUT – I *saw* him”, then I’m not sure that’s real convincing. I know there are people out there that believe Elvis never died, and even come up with photos to show he’s still alive, but, the gigantic majority of us aren’t convinced. (oh, wait – do you believe Elvis is still alive? OK – that’s kind of a joke). All that, of course, is debatable. And, I believe the empty tomb scenario has far more “explanatory” power than a ground grave. Allow a brief explanation: Jesus is crucified, put in a tomb, and a couple of days later the tomb is found empty. What are his followers going to claim with great enthusiasm? “The tomb is empty because he was resurrected”. In the lack of a better explanation, say “it was a miracle”. You got a “missing body”, and nobody can account for it, so yeh, “it MUST have been a resurrection!” That’s got a lot of “power” to it. Heck, “sightings” are just an add-on. With a ground burial, you get none of that. All you’ve got to go on is just “sightings”, and those are too easily discounted. They have been, for centuries. Just go read some Shakespeare. NOTE: All this has just been a very informal “my take on it”. I’d love to hear your thoughts on how you get from a ground grave to a bodily resurrection. I am not sure what to say in response to your statement, “I posit a procession simply because that’s what I believe a first-century Jew in Judea would *do*.” The Jews obviously had some way of making sure processions did not happen for Jews guilty of the infractions in Semahot 2:6 and 2:8 because, well, there were no processions for these folks (as you conceded). You keep bringing up scenarios where the *state* executes someone but the Jews have nothing against them (your new ISIS scenario). I don’t think I can help you anymore on this topic. As to how you get a physical resurrection (up to heaven) belief without a discovered empty tomb, that is another discussion, and I do not think it is as simple as just having a bereavement vision. Sorry, but I do not have the time to delve into that.